Gregor v. Bochmann is professor at the School of Information Technology and Engineering at the University of Ottawa since January 1998, after 25 years at the University of Montreal. He is a fellow of the IEEE and ACM and a member of the Royal Society of Canada. He has worked in the areas of programming languages, compiler design, communication protocols, and software engineering and published many papers in these areas. 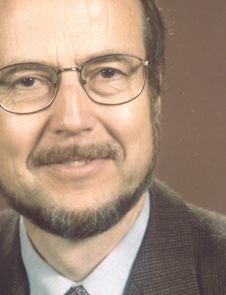 He was also actively involved in the standardization of formal description techniques for communication protocols and services in the 1980ies. He had many research projects in collaboration with industry and, from 1989 to 1997, held the Hewlett-Packard - NSERC - CITI Industrial Research Chair on communication protocols at the University of Montreal. His present work is in the areas of software engineering for distributed systems, peer-to-peer systems, quality of service and security management for Web applications, and control procedures for optical networks.